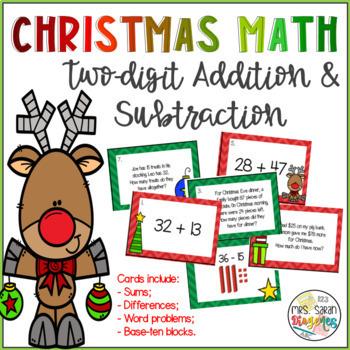 Christmas task cards to practice two-digit Addition and Subtraction. Perfect to play games like scoot in the classroom and math centers. Have your students practice addition and subtraction in an engaging and fun way. It contains 2 sets of 24 cards.